NEW Star Wars Angry Birds Plush 8 Inch Girl Pink Bird LEIA 8"
Commonwealth Toys has combined characters from these 2 incredible franchises. Your favorite characters, ready to cuddle with any Angry Birds or Star Wars Fan. We will not leave it out. Take a look at my pictures for more details! 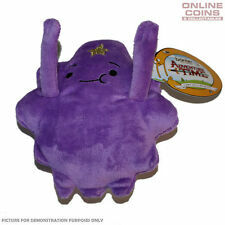 ADVENTURE TIME - 6.5 INCH PLUSH LUMPY SPACE PRINCESS - BRAND NEW IN STORE!!! 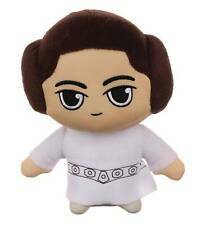 COMIC IMAGES STAR WARS LEIA SUPER DEFORMED PLUSH NEW WITH TAGS! From Comic Images. COMIC IMAGES. We are top rated for a reason! We are grateful for your interest in Batcave Treasures! Princess Daisy Allstar Collection Super Mario Plush 9"
Although Daisy is the ruler of Sarasaland, her current place of residence is in the Mushroom Kingdom. Daisy is known to be a tomboy, a fact first stated in her debut appearance. Daisy is represented by colors like yellow, orange and green. If the item shows any evidence that it was played with, broken, or used, there will then be a 50% fee. Star Wars - Princess Leia Fabrikations Plush - FunKo Free Shipping! Rotating head! Collect them all. Star Wars - Princess Leia Fabrikations Plush. At The Nile, if you're looking for it, we've got it. Adventure Time Fan Favorite Plush Flame Princess 10"
PROBLEM WITH YOUR ORDER?. We insure all orders. Princess Leia 6" Funko Fabrikations Plush. NOTE:Hawaii and Alaska may take longer. Feisty pets are a line of plush animals with "stuffed attitude"! No batteries or extras necessary. They're great to cuddle and play with, but are also perfect for a hilarious and innocent prank on friends and family! Princess Leia is now a plush that can stand on her own! The Secret Life of Pets 2 Squeezable Pet Plush each feature an ultra-slow rise effect and are made of super soft, stretchy outer material. These palm size plush are the perfect size to take along on any adventure! [ Country of Manufacture ]. We do our best for you!! [ Condition ]. [ Multiple sizes and colors ]. [ For Collectors :Item Conditon ]. Japan Usage Item. [ Electronics ]. 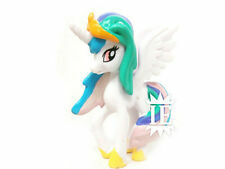 Statuette of Princess Celestia from My Little Pony. State: New. Princess Leia is now a plush that can stand on her own! Ages 14 and up. The Force may or may not be with her.! What's that you say ?. The little chubby princess from 'Fat Princess' is light as a feather in her Stubbins variant, but still as cute as candy. - Motif: Pink Princess. Made by: Fat Princess. - Colour: Multi-colour. Add to Favourite.